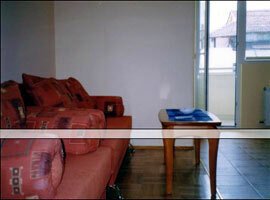 This attractive single bedroom apartment is located at the very central part of Sofia. 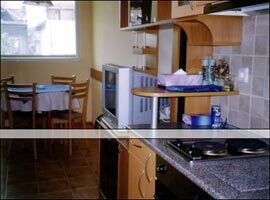 The apartment is situated in a block of flats, close to Dondukov Boulevard and Vasil Levski Boulevard. It is close to shops, restaurants, banks and administrative buildings. 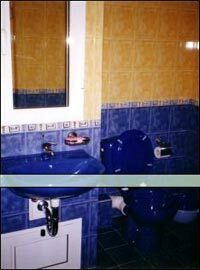 There is a bedroom with king size bed in Chumerna apartment, kitchen supplied with all utilities needed, a bathroom, telephone, cable TV. Further there is a folding sofa bed in the living room which enables the use of this apartment by a family with kids or two couples. Nice balcony overlooks the quiet street and affords glimpses to Vitosha mountain. The apartment allows maximum occupancy of 4 persons.